Peachtree City, the largest city in Fayette County, is in the southern portion of metro Atlanta. The city has been the filming location for several episodes of The Walking Dead, as well as scenes from the film Joyful Noise. The city has been named to multiple “Best Places to Live” lists as well. 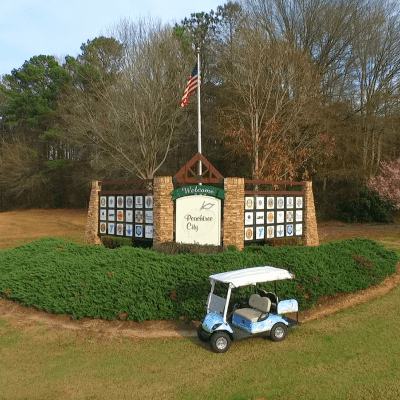 Peachtree City was chartered in 1959 after a group of real estate developers acquired over 12,000 acres in Fayette County to build a planned community in the 1950s. The city was developed in villages, with the current villages being Aberdeen, Braelinn, Glenloch, Kedron and Wilksmoor. Everyone has to head out to Lake McIntosh at least once to witness the Dragon Boat Races and International Festival. Enjoy a delightful combination of international food and culture while watching dragon boats race through the lake.